The smallest, and most common of these is the American Kestrel. We care for several each year. Some, like the first picture, are orphaned or injured as nestlings. 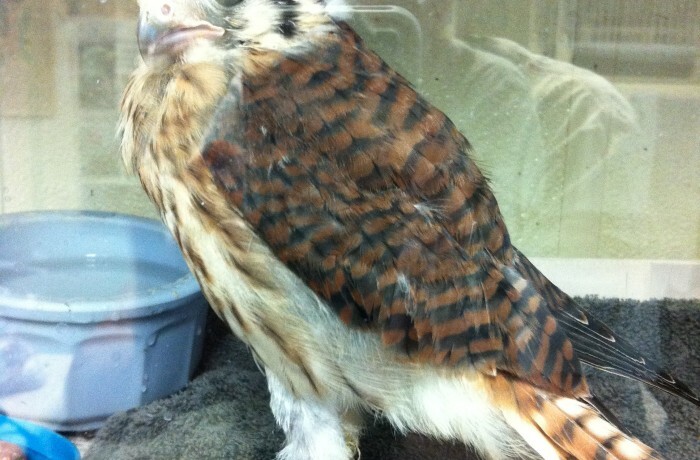 Others, are admitted as adults having suffered from accidents, such as this one that flew through a gas flare and burned every flight feather on its body. He will be with us for a full year until he molts and grows new feathers.